Our gin starts where others finish, making distillation only the beginning for our accomplished spirit. We're very particular about how we make our award-winning Bathtub Gin. Copper pot-distilled gin is first made with juniper, coriander and other fragrant botanicals. We take a portion of this gin and painstakingly infuse it with a further six fresh botanicals, to truly capture the vibrant flavours of orange peel, cassia, juniper, coriander, cardamom and clove. It's this infusion which gives Bathtub its unique character, allowing those fresh botanical flavours - too delicate to survive traditional distillation - to shine through, leaving our gin with its distinctive botanical hue. It's only finished once wrapped, strung and waxed by hand, ready to deliver unparalleled fresh flavour to your G&Ts and cocktails. 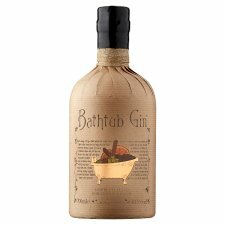 The perfect Bathtub G&T is simply made with premium tonic water and a large orange wedge. The fresh and robust flavour of Bathtub makes it ideal to shine through a Negroni, and bring zip to a Southside. 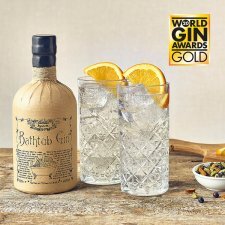 Serving Suggestion - Bathtub Gin & Tonic: 50ml of Ableforth's Bathtub Gin, topped with premium tonic water in an ice-filled glass. Garnish with a large, orange wedge. Negroni: 25ml of Ableforth's Bathtub Gin, 25ml sweet vermouth, 25ml Campari. Stir over ice and strain into an ice-filled rocks glass and garnish with orange zest. Tasting Notes - Nose: Fresh and bold juniper leads the way with fragrant citrus and cardamom. Notes of fresh orange peel and cinnamon add to an enticing nose. Palate: Juniper again leads, as it should in any gin, but there's plenty more besides. The mouth feel is thick and creamy whilst the cloves, coriander and cardamom offer depth. Finish: Here the supporting botanicals really shine with lingering cardamom and orange peel on the tail. Founded in 2011, Ableforth's was created by three friends who wanted to make the kind of delicious spirits they would drink themselves. 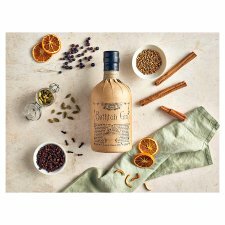 Inspired by the past, but with a thoroughly modern approach, the award-winning Ableforth's range now comprises gins, rums and a whole host of finely crafted spirits. From cold-compounding and vacuum distillation techniques, to using the finest ingredients including XO Cognac, every Ableforth's drink is created using uncompromising methods and exceptional ingredients to deliver distinctive taste. Every bottle is lovingly hand-finished with paper, twine and a wax-seal, adding a variety of textures to the sensory delivery, while each sip provides an incredible taste discovery for the discerning consumer.